After you cast your vote today be sure to head out to celebrate and see if your candidates won. Check out KVUE's list of watch parties happening in Austin. AUSTIN — Election Day can be stressful. Traffic can get backed up around polling locations, there will be long lines to wait in, and then there is that stress of wondering if your candidate will win or not. 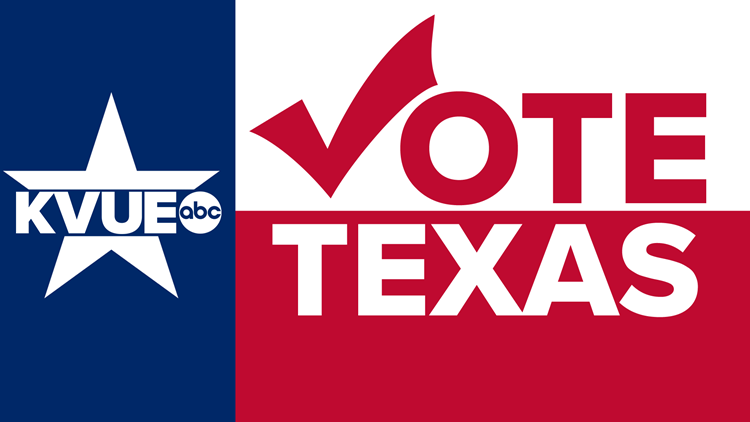 KVUE has you covered and a list of places you can go after you vote, so you can relax and watch the results come in. If you're interested in just heading home to watch the results, you may at least want to stop at a location that has special deals for voters today on the way home. You can find that list, here. There will be official watch parties for both the Republican and Democratic parties in Austin. The official Democratic party will be held at The Driskill. The official Republican party will be held at Cover 3. Cover 3 is located at 2700 W Anderson Ln. and is hosting the official election watch party for the Travis County Republican Party from 7 to 10 p.m. You can find out more about the event on the Travis County Republican Party's Facebook. The Driskill is located at 604 Brazos St. and will be the location for the official Democratic watch party from 8 to 11:30 p.m. The party will be hosted by the Travis County Democratic Party. You can find more information on the watch party on the Travis County Democratic Party's Facebook. The Liberty is located at 1618 E 6th St. and will also be holding an election party from 6 p.m. to 12 a.m. For more on the election party, click here. Nickel City is located at 1133 E 11th St. and will be having a watch party tonight from 7 p.m. to midnight. The watch party is being held by City Concil District 1 candidate Reedy Spigner. For more on this event, click here. Hoover's Cooking is located at 2002 Manor Rd. and is where City Council District 1 candidate Vincent Harding will host his watch party from 7:30 to 9 p.m. For more on this event, click here. Space 24 Twenty is located at 2420 Guadalupe St. and will have a watch party from 7 to 10 p.m. The watch party will be hosted by TX Votes and Texas Rising at the University of Texas at Austin. For more on this watch party, click here. Black Star Co-op is located at 7020 Easy Wind Dr. and will host a watch party from 7 to 11 p.m. On the event's page on Facebook they said there will be results on a projector throughout the evening and they will also have food specials. Cheer Up Charlie's is located at 900 Red River St. and will have a watch party from 7 to 11 p.m. The watch party will be held by City Council District 9 candidate Danielle Skidmore. To find out more about the event, click here. Volunteers and supporters are expected to head to Native Hostel at 807 E 4th St. to watch results roll in from 7:30 p.m. to 12 a.m. Fore more on this event, click here. Infinite Monkey Theorem is located at 121 Pickle Rd #110 and will host a watch party from 5:30 to 9 p.m. this evening. Bring your "I Voted" sticker and you'll receive 15% off of your order. For more on this event, click here. If you know of any watch parties KVUE should add to this list, be sure to let us know. If you will be staying in this evening, you can watch the results on KVUE. We will have live coverage on KVUE-ABC, Facebook, YouTube, Twitter, and on KVUE.com from 7 to 10 p.m.
For a list of stories about any information you may need on Election Day head over to kvue.com/votetexas.